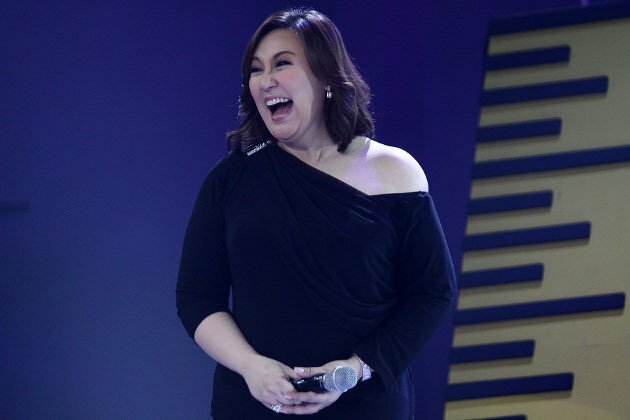 (UPDATE) Months after keeping the public guessing, Sharon Cuneta has finally decided to shift from Kapamilya to Kapatid. She signed a five-year exclusive contract with TV5 on Tuesday, November 22. Perci Intalan, TV5 head of creative and entertainment production says the network is developing Sharon’s first show in her new home for the first quarter of 2012. Intalan adds that working closely with the artist on his or her show makes him or her happy. So they make it a point to involve him or her in developing a show. This, he goes on, is what happened in the case of Lorna Tolentino and Aga Muhlach, who, like Sharon have transferred to TV5 from other networks. In a statement, TV5 announced Sharon's reunion movie with Gabby Concepcion that will start filming in March next year under its film arm, Studio 5 in partnership with Viva Entertainment. It also revealed that Sharon will also host a daily show and a reality-based program on TV5. “Sharon knows what she wants. She can tell us if she wants to do something different or if she wants to do something she is already comfortable with,” Intalan goes on. Aside from the movie project, plans are also being discussed regarding Sharon’s birthday celebration early next year. The TV5 executive is confident of Sharon’s star quality, especially now that she has become a trending topic in social networks. “People have accepted her for what she is,” he explains. As for her much-vaunted weight problem, Intalan doesn’t think it is a problem at all. “It doesn’t diminish her star quality at all,” he explains. Get the latest celebrity news on your mobile now!